More than 65 Impressionist masterpieces from the renowned collection of the Musée d’Orsay in Paris feature in a major exhibition at the Art Gallery of South Australia. Colours of Impressionism: Masterpieces from the Musée d’Orsay charts the revolution of colour that lies at the very heart of Impressionism and includes master works by Monet, Renoir, Manet, Morisot, Pissarro and Cézanne, among many others. From the dark tones of Manet's Spanish-influenced paintings, to the rich green and blue hues of the French countryside as painted by Cézanne, Monet and Pissarro, to the rosy pigments of Renoir's and Morisot's female figures, the exhibition traces the development of colour in the Impressionists' radical reshaping of painting in the nineteenth century. 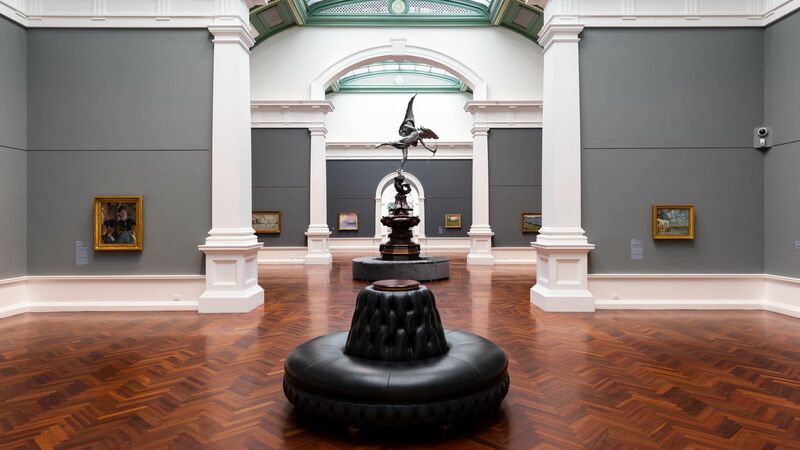 The exhibition is staged in one of Australia’s few nineteenth-century gallery spaces. A fitting backdrop for Colours of Impressionism, the Elder Wing recalls the light-filled interior of the former train station that now houses the Musée d’Orsay on Paris’ Left Bank. In partnership with Art Exhibitions Australia. Organised by Musée d’Orsay, Art Exhibitions Australia and the Art Gallery of South Australia. Principal Sponsor Mazda, Principal Donor Singapore Airlines.